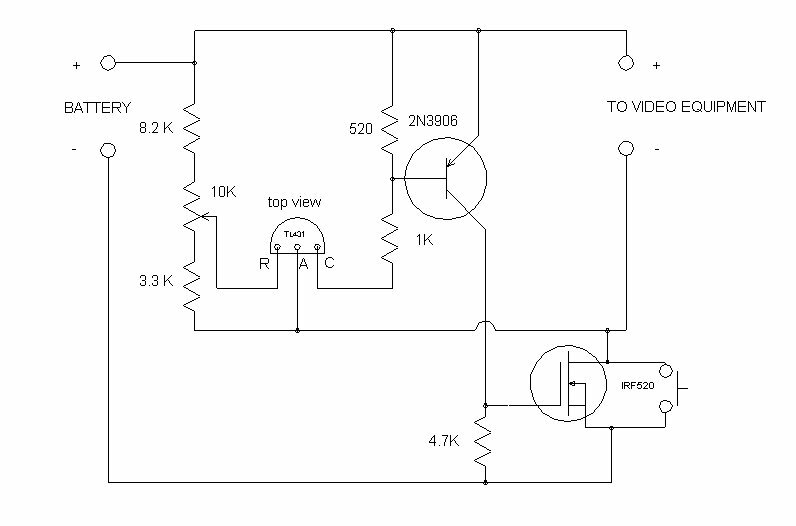 I was wondering whether using a Mosfet with a lower gate threshold voltage would be sufficient to reduce those 7 volts to just under 4 volts? The Mosfet I'm using is STP75NF75. You have no comparator design or hysteresis. Start over and define your thresholds for cut-off and turn-on or hysteresis levels and choose a comparator or better, look at BMS IC design choices. Define all functions or conditions like what purpose your switch serves and how you protect the battery from undercharge load current and how much memory capacity ( V rise) your battery has when load is switched off. Not the answer you're looking for? Browse other questions tagged lithium-ion protection low-voltage undervoltage or ask your own question. Conventional way to measure Li-Ion cell capacity? do mAh on batteries (for home-use - nerf) make a difference? Changing values of a cheap ebay charger?